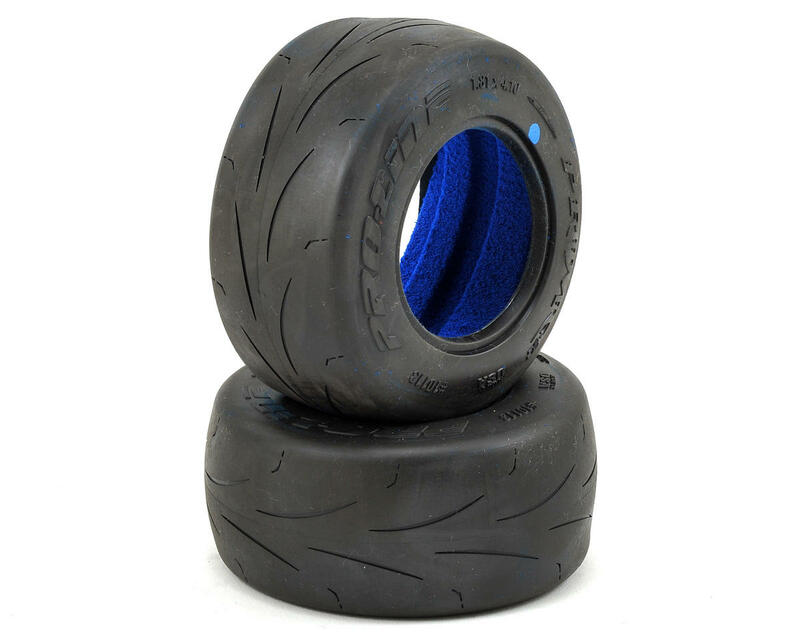 This is a pack of two Pro-Line Prime SC 2.2/3.0" Short Course Truck Tires. 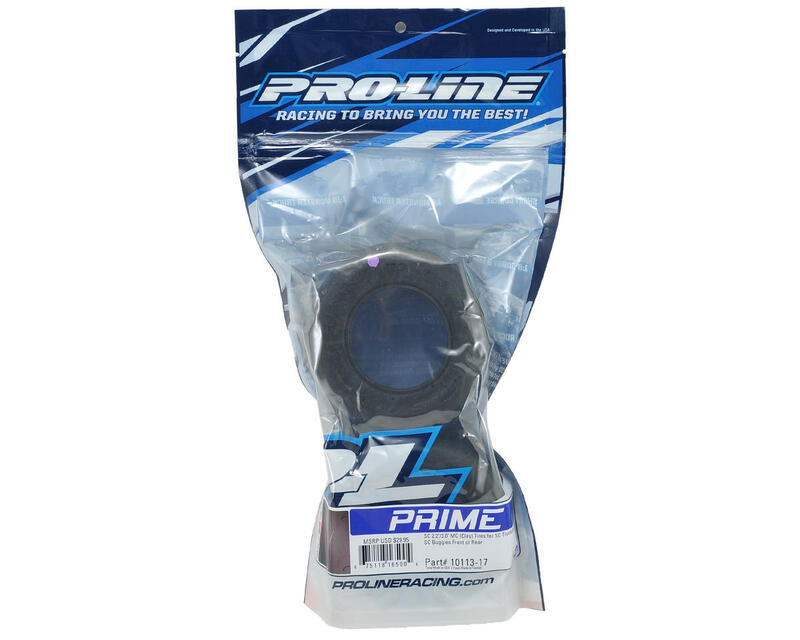 Pro-Line’s Prime tires are targeted directly at racers currently running full “slick” tires, saving them from having to grind treaded tires down while delivering improved performance. Pro-Line’s Prime tires feature unique grooves that add traction and stability when the track is freshly watered or when there is a slight layer of thin dust that would cause a traditional “slick” tire to spin. The raised treaded portion of the Prime tire has a distinctive rough surface texture similar to a ground “slick” tire and gives the Prime maximum performance right out of the package.